This year I have become more health conscience and look closer at those nutrition labels . Although I have always made it a priority to eat healthy and really watch what I serve my family but there are just some nights that cooking is not an option. With school and all the activities my kids are in these days I find myself grabbing takeout for the family on those extra busy nights. 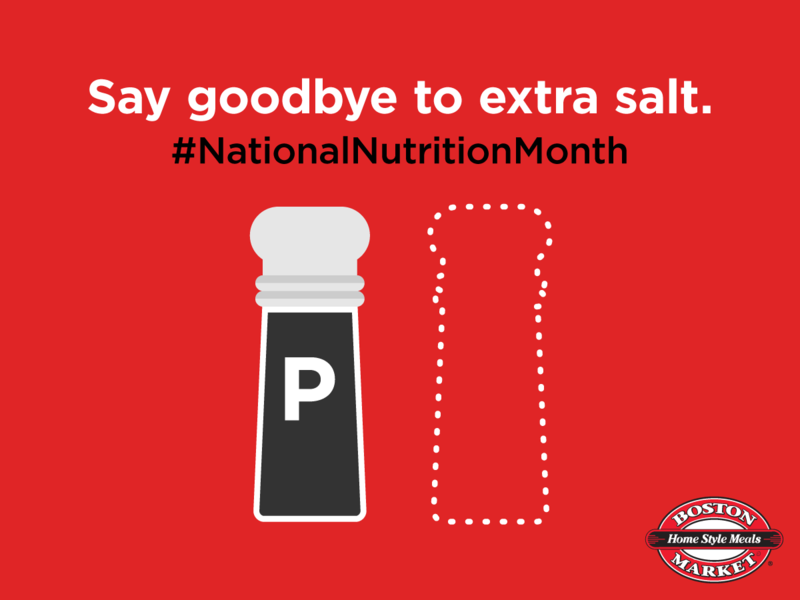 Did you know that March is National Nutrition Month®? Boston Market has always been a favorite for our family as they always produce a well balanced meal that my whole family loves. Including their full of flavor 150 home style meals with 550 calories or less. That includes their famous rotisserie chicken, a big favorite of my little guys. Each of the meals includes an entrée and at least two sides. It’s a perfect solution to those busy nights that I can not cook but do not have to worry that my family is eating unhealthy. 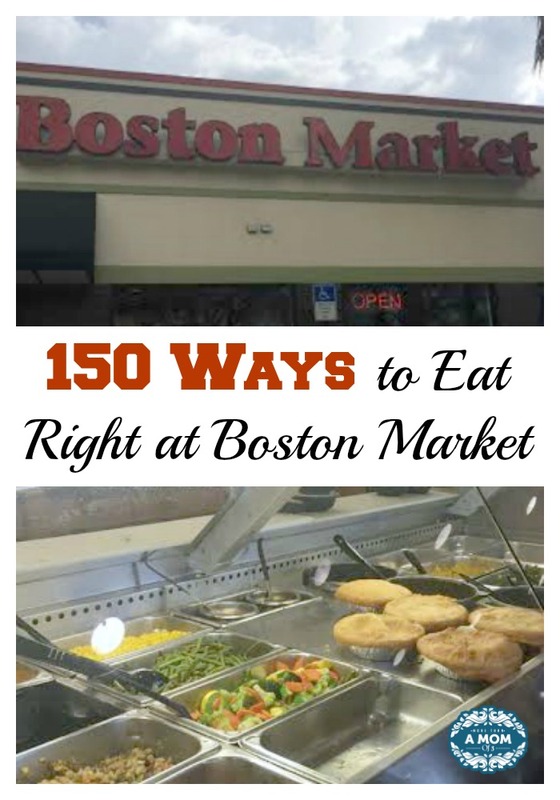 Check out some of the delicious Ways to Eat Right at Boston Market below! My husbands favorite is the half chicken special for only $8.49. That includes a half signature, rotisserie roasted chicken, two sides and his absolute favorite fresh baked cornbread. He lives for that cornbread. You can download or view Boston Market complete List of Meals 550 Calories and Less to see what other delicious combos they have to offer. What I love the most about Boston Market is they have removed all salt shakers from their tables and has reduced the sodium levels by 15 percent in their menu. This is especially important to me this year. I have really never noticed the sodium in most of the foods I serve my family while dining out or on food labels. I normally do not cook with much salt and I do not allow my kids to add any but never thought about it while serving take out. Plus, Boston Market has been awarded the HALO Award by QSR Magazine in 2014 for its meaningful contributions to a healthy and active lifestyle. They are a proud participant in the National Restaurant Association’s “Kids LiveWell” program and a strategic partner of the United States Department of Agriculture “MyPlate” program as well. Ready for a Boston Market $1o0 Gift Card Giveaway? 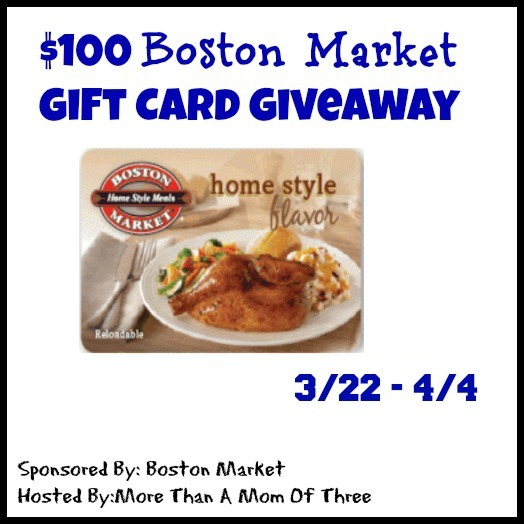 Boston Market is giving away one More Than A Mom Of Three reader the chance to win a $1o0 Boston Market gift card. Entry is simple just follow the directions below. Like many people one of my New Years Resolutions is to get back into my normal fitness routine. Since the holidays I was pleased to say I didn’t gain anything but of course didn’t lose anything either. Let’s be honest here, the holidays are filled with excuses not to fit in a workout. There is so much to do and a ton of goodies to nibble on. I set out last year to try to lose that last 10 lbs. of baby weight. Ahem, do not judge but my baby just turned 4 years old. It’s about time to kick it up a notch this year. I want to make working out a lifestyle change no more excuses for being “too busy”. I need the motivation though and try to be held accountable for my workouts. 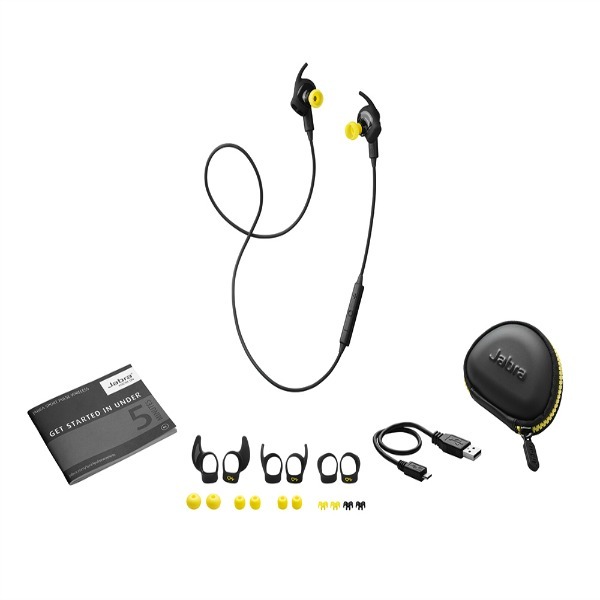 Enter the Jabra Headphones from Best Buy. The Jabra Sport Pulse Wireless Headphones can help with that motivation issue. They are all-in-one training solution that combines an in-ear biometric heart rate monitor, immersive Dolby® Digital sound and real-time voice coaching. This baby can truly kick your tush into the next level of fitness. With a built-in intelligent app the Jabra Sport Life promises you will get the most out of their Sport Pulse Wireless earbuds. You can plan, track and evaluate each of your workouts. Hello accountability! It has never been so easy to test fitness levels and aerobic capacity, adjust heart rate zone levels to optimize training, and set goals based on distance, time or calories burned. In-ear heart rate monitor – Offers a precision biometric reading of your exercise intensity to help you reach your fitness goals. Ergonomic Audio Response Science technology – Delivers a compact, lightweight design and secure fit that lets you concentrate on your training. Earbud design with earwings – Provides a secure, comfortable fit during your workout. Rechargeable lithium-ion battery – Provides up to 5 hours of talk time or music play time or up to 240 hours of standby time. Personalized audio coaching – Provides feedback on your workout in real time. iOS- and Android-compatible Jabra Sport Life app (download required) – Helps you plan, track and evaluate your workout. Wind-noise reduction – For crystal-clear audio while outside. Volume buttons, voice mute, play/pause music and skip track controls – For easy operation of your device’s features. Let’s step it up this year and keep better track! 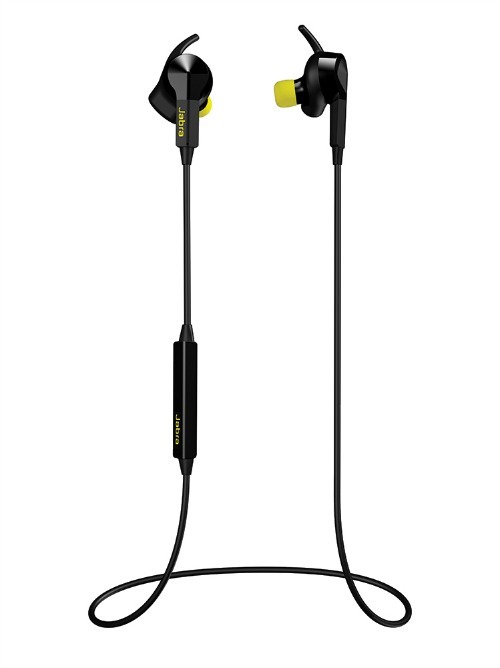 Check out all the details for the Jabra Headphones from Best Buy. What do you love most about the new Jabra Headphones?